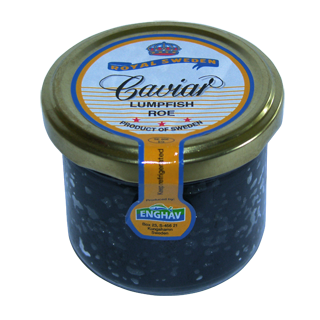 Has taken place as one of the most popular caviar products with fine soft eggs, somewhat larger than eggs from capelin fish. The flavour is salty but mild and fresh. Coloured black and red.